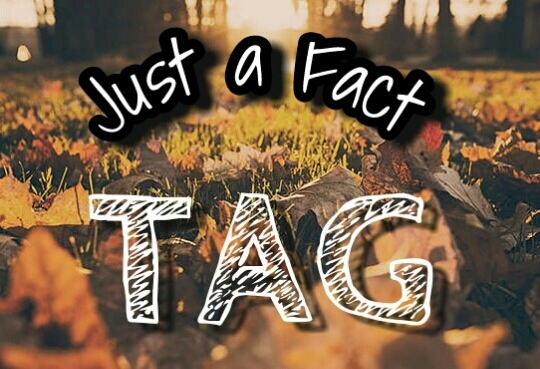 So, I introduce, ‘Just a Fact Tag!’ Hehe. The Fact of it All!? When I was a little girl, I was told something that really had an impact on me!! And, let me just clarify that it wasn’t just an average impact – it was a life changing impact! My whole mind was set on grasping that concept! Many nights I tearily prayed for repentance, for I had not given my very best! 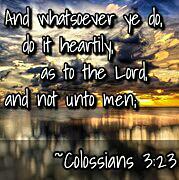 My heart ached, and spirit yearned to obey this command! After all, God wouldn’t remind us of this, unless He would help us achieve it! God was a God of victory- and I knew with His help I could learn to give my all! So, I prayed for His help on this challenge, I had readily accepted. That, that small thing not many would think too much into, was the basis of who I am! I kept that in mind! I prayed for help! I gave my all to Him, knowing He could, (and only He could,) let me know what it felt like to give all! Through life, its beat in my heart, as if it had been engraved there! It has always (always) stuck with me, to this day! Knowing that if I give my all to even the simplest tasks, God will provide the rest that was needed! My life is traced upon that small fact! But, in complete and utter honesty, I wouldn’t have it any other way! I can’t imagine living life differently! Without that, I may be a totally different person! That challenge God gave me, is a miracle! He knew how extreme I’d be already, so He went ahead and planned some challenges for me! Haha. A fact to life: we are all failures, but with Jesus we can be ‘A-mazing!’ Our lives are meant for His purpose! We were all made with a plan, a plan He holds in His hand, but, only you can choose to take it, or leave it! Give all – God will finish the rest!! * Take the banner and paste it to your post. * Tell a single, meaningful fact about who you are. * Explain this fact as open, and explanatory as you can. * Tag at least one other blogger, and give a reason why you think they should do this. * Add a Bible verse to close out this tag. * Thank the blogger who tagged you. * You!!!!!!! (Yes, you!) Haha. If you are reading this, then guess what? You’re tagged! (; I can’t wait to see your post!! Post your link to your tag down below in the comments!! And let me know what you think of mine 😀 It’d really mean the world to me!! This should be SO much fun 😀 I love learning about you guys!! Y’all really inspire me!! And, above all, always remember Jesus loves you!! This entry was posted in About Me! ?, Random Fun, Tags For Us All and tagged About Me! ?, Awesome, Care, Creative, effort, Facts, hard, heart, help, info, Jesus, KJV, Mary Kate, new tag, Scripture, strong, tag, Thought, Thoughts, truth, understanding, with all your might, Writing. Bookmark the permalink. Hey! This is a cool tag idea, and is like the first one that might actually fit with the style of my blog. I’ll have to think about it a bit. Whether I do it or not, thanks for the nomination! Thanks for tagging me! I hope to do it soon!